The Dolphin Research Center at Marathon puts an entirely fresh spin on things dealing with swimming with the dolphins, while also located in the Florida Keys, they do many of the same activities such as swimming with dolphins and dolphin encounters. They center more about the education of the participant, of the people that come to the facility, to enlighten them on the current situations that plaque our oceans and endanger these impressive majestic creatures. The Dolphin Research Center has many exciting presentations done daily on fun dolphin facts, new medical research and analysis on dolphin, new behavioral applications in relations to dolphins, and much much more. This center truly takes informing the public to a new stance and is greatly admired for it from the marine science community. 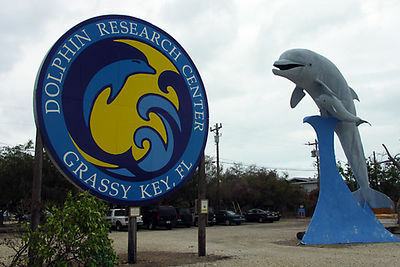 It is interesting how the Dolphin Research Center is funded by those who visit the facility to come see the dolphins and the many other activities offered to the public. Through these and other donations, The Dolphin Research center may expand its borders and cultural reach to appeal to many more people, by varying means of communication, as to inform the public of these awesome creatures known as dolphins. Therefore this contribution by their sponsors and other well meaning citizens that do care about dolphin awareness, are a major part of the facilities assets. Without them they would not be able to get the word out as efficiently and productively as they might have hoped. All in all the Dolphin Research Center does a noble deed, while providing entertainment for many and informing them about the dolphin ecology.